Toronto real estate buyers really want their condos. Toronto Real Estate Board (TREB) numbers show that prices climbed in February at a similar pace to last year. The price increases are occurring despite a large drop in sales, and a lot more inventory. The price of a condo is still rising, according to the benchmark. TREB reported a benchmark price, a.k.a. the price of a typical condo, reached $479,200, a massive 18.82% increase from last year. The City of Toronto benchmark reached $504,700, a 20.91% increase. This is roughly the same rate of price growth as this time last year. Actually, it’s a little higher in the City of Toronto. For those skeptical of the benchmark price, there’s the median price. The median condo sale price across TREB was $465,000, a 10.47% increase from the year before. The City of Toronto saw the median sale price rise to $505,000, a 12.23% increase. The median, for those that can’t quite remember, is the midpoint between all sales. That means half of units sold at a price point above the median, and half sold below. It’s more commonly used in international markets, but we do usually get an email or 10 asking us to provide this stat. So here it is. The average sale price of a condo is significantly higher than last year. TREB reported an average of $529,782 across all regions, a 10.1% increase compared to last year. In the City of Toronto that number climbed to $570,275, a 10.7% increase. In the suburbs (a.k.a. the 905) it rose to $435,216, a 7.6% increase. Average sale prices aren’t useful for determining how much you’ll pay, but they’re useful for determining dollar volume direction. Take a peek at the average prices below, and let us know what you see in the comments. Toronto condo sales are falling off a cliff. 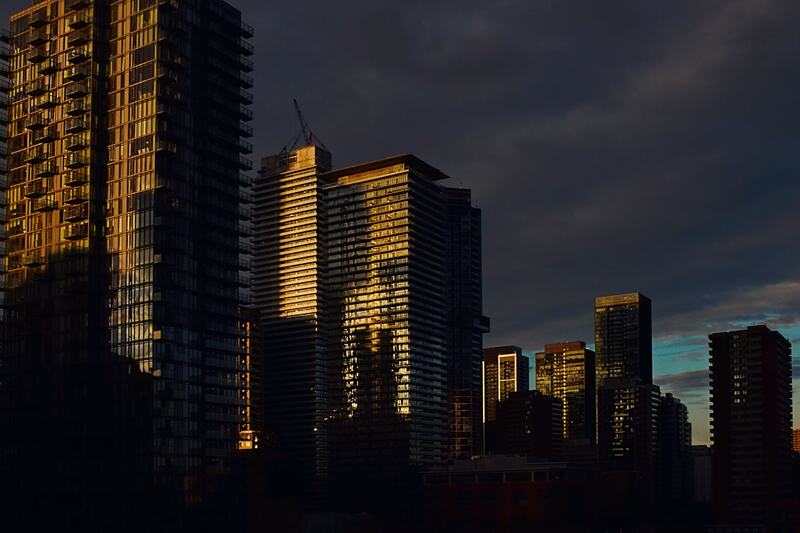 TREB reported the number of condos sold reached 1,631 units, a 30.8% decline from the year before. Breaking that down, the City of Toronto saw 1,142 of those sales, a 29.9% decline from last year. The 905 saw 489 sales, a 32.8% decline from last year. Remember, despite what your agent says, sales are relative. Meaning a sales decline, or rise, isn’t important by itself. These could be the result of lower inventory, in which a drop would be expected. If sales decline while inventory is climbing however, special attention should be paid to prices. New condo listings in Toronto are falling according to TREB. TREB reported 2,486 new listings in February, a 5.76% decline compared from last year. The City of Toronto saw 1,687 of those new listings, a 10.17% decline. The 905 saw the other 799 sales, a 5.13% increase from the year before. The sales to new listings ratio (SNLR) fell to 66%, about 26.6% lower than this time last year. That is, sales demand is much lower relative to new listings, when contrasted to last year. Despite the decline in new listings, inventory continued to build. Active listings, the total number of listings for sale, rose to 2,768 condos, a 54.55% increase compared to last year. 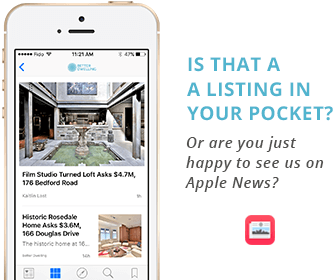 The City of Toronto saw 1,767 of those listings, a 35.81% increase. The 905 saw the other 1,001 units, a 104.28% increase. The sales to active listings ratio is roughly half of last year, but did nothing to expectations. Despite a lot more inventory, and a big drop in sales – prices still climbed at a similar pace to last year’s record low inventory. A shift in the demand curve had no impact on prices. This means price movements have little to do with supply, and a lot to do with buyer mentality. This reminds me of one of those old Bugs Bunny cartoons, where Wile E. Coyote would continue running off the cliff, until he sees what’s below. es, it’s ridiculous to see condo prices climb 20% in Toronto, when New York is being called a bubble at a 5% increase. But irrational buyers on the way in, are going to be irrational on the way out. They’re not going to sell for less than they paid for those places, so I don’t expect condo prices to crash much if at all. You make it sound like sellers can control the depth of a price drop during a correction or crash. They can’t. Some sellers must sell. Job loss. Job transfer. Illness. Death. Sales volume might fall off a cliff as the majority of recent buyers sit tight and refuse to lower their price, but those who must sell, will. And those few comparables will determine the market price for all condos. Unless they’re forced to sell, they won’t sell for a loss. It would require a wide scale recession to force them, which isn’t in the cards at this point. I’m not saying their won’t be a minor correction, but prices are slippery on the way up, and sticky on the way down. Where does this wisdom come from? I understand that this is something that you want to believe but there is no empirical evidence to support this statement, while plenty to debunk it. Sammy, you chill on this block but consistently miss the point. Correct people don’t buy today and sell for a loss tomorrow, they will try to mitigate their loss,renting it out for example. In single/small-scale cases this holds true but if the issue is systemic then the safe guards fail. Too much rental inventory, leads to rental price declines resulting in less returns or an inability to cover the costs which means you take a monthly loss and hope it appreciates or sell to stem the losses. Watch what is already happening in Brampton;you can use realtor.ca and see it play out weekly. Like watching ants, very interesting. Unless they’re forced to sell, they won’t sell for a loss. What did I just tell you? Some will be forced to sell at a loss. And those sales will determine market value for the rest. Those who don’t sell will be living in a condo with a market value 40% less than what they paid for it. Renewal under B20 will be all kinds of fun for them. Sure, the lenders won’t force them to qualify again, but only if they stick to the same lender. Guess who gets to set his own price (i.e. mortgage interest rate) in that scenario. HINT: Not the borrower. Take a look at other corrections around the world. Look at what happened in the years before the corrections. Multi-year run-up in prices. Blow-off top to crown the peak, even while volumes were already falling and inventories already growing. Condos didn’t rise at nearly the pace that detached homes rose. Another analysts on this site even pointed it out in another article, condos are climbing up to the normal ratio of a condo to detached. Once they get their, I expect mild growth to continue. Nothing crazy like the past couple of years, but also it won’t drop like everyone else is cheering for. No one is cheering for a crash here. You are missing the point of this community. Something is going on and BD shines the light on the darkness. There are fundamentals that drive everything and it seems like there is a shift happening with a broader downturn potentially. Tick tock. Indeed, far from cheering, I am literally wincing. I get a sick feeling in my gut when I think of the record amounts of household debt, insane housing prices, the behaviour of the herd, and the reckoning that is coming. I hope it is deferred for anther 5 to 10 years. Another decade of this extend and pretend economy would serve me just fine. It would allow my wife and I to keep our jobs, keep saving money every month, and we’d be in great shape in ten years. We’ve been debt-free for a long time and slowly saving money, but only recently have our savings really ramped up. Let’s keep this party going for another decade, please! That is my wish. My gut – and every conceivable economic data point and every conceivable observation one can make – tells me the opposite. I hate that grammatical error. I hate it even more when I make it. As we all know there is a lot of bad money still in the system. Not surprising it is still piling in to condos as the other types are coming down so there is little return to be made and it is a falling knife. Also the ‘land scarcity’ narrative holds true for the downtown and rents at the moment mean positive cash flow with the right down(however I know some investors are getting scared off too) . And boomers are trying to get into the condo market as they view it as more desirable which may be adding pressure… Or condos will keep moving up and eventually bring all other types higher and we’re all fucked as the entry to housing in the GTA hits $600k. Personally as I’ve always said this will take months to play out. Keep calm and BD on. Time will tell. Tick tock. Take a look at “Toronto Active Listings” in this chart. You would see a massive drop of inventory from 6000 units in 2015 to about 2000 units in April 2017. Then there is increase to 2700 units (as of now). This is still very LOW supply which explains why condo prices still growing. Not at the same pace when supply was under 2000 units, but at slower pace. Unless there will be massive dump of properties to the market, prices wont go down too much on condos. Thanks for the info! Inventory has been scarce but as per BD 2018-2019, will see upwards of 20,000 units come online. Can the current market absorb? Will we see any price declines in the next 6 months as the bad money exits? Who knows but come back and help shed some light on the issue as you have. Tick tock. We already hit 20000 last summer. But big chunk of growth was in detach market which crashed Richmond hill, Vaughan, King, etc. He means we have this many condo units hitting the market. What do you mean by 20k units will come online? Any units being built have already been purchased. There is no “absorbing” necessary for them. People will either live in them or rent them. If current situation holds true, very few will be selling them. Supply is RELATIVE. Let’s do this grade school style. Pretend it’s normal for one buyer per month, and there’s 10 units of inventory per month. Then one month, there’s no buyers, and 8 units. The next month, still no buyers, and 5 units. Do prices continue to climb because supply is low relative to historic norms, or does it not matter because buyers fell faster than supply? Don’t make sense. Too much condo construction. Some of the nice neighbourhoods in downtown are fighting against these property developers who want to turn every thing in to ugly glass building. This is ruining the neighbourhoods. Yonge Street is looking ridiculous right now. They’re building condos in front of condos. I swear, Yonge and Wellesley has more construction workers than people that live in the area right now. It’s out of control. They are even tearing down Heritage buildings in name of new development. anyone know why they are tearing down those BRAND NEW townhomes on Bayview, just before steeles, west side across street from gas station. they were put up no more than 5 years ago…….drove by 3 weeks ago to demolition…….WTF? The only townhomes I see are on Arlington Way. There is nothing across from the PetroCan on the west side of Bayview, unless that satellite image is older than 5 years and the homes weren’t built yet. Certainly a possibility. I haven’t been in that area and am not from Toronto; just went to Google out of curiosity. My in laws live in that area just down Cummer and we were wondering that ourselves. Unless anyone has inside info I think that only seeing what gets developed will illuminate the mystery. My guess is that they’re putting more units on the same footprint. In other words, I suspect that the answer is “because it was profitable.” Shocking, I know. Those glass monstrosities are murder on songbirds as well. The alleged “environmentalists” who love urban density never consider this, but it’s a bloody tragedy. Active listings are still crazy low. The question becomes whether the supply really is too low or if demand is too fervent. But I can’t see prices continuing to rise if listings keep increasing and sales stay low. Something has to give eventually. Not even with a drop there are still people who bought from 2010-2016 that could sell at a profit. As I side note, I saw one of those “Exclusive” FOR SALE signs yesterday in the Chapel Hill area of Orleans (east end of Ottawa). Someone here last week said that ‘Exclusive’ on a realtor sign means the property is not yet on MLS. Ottawa has super low inventory right now – as tight as I’ve ever seen it. Yet this is the very first “Exclusive” sign I’ve ever seen. Why would a realtor do that in a market this tight? Are realtors doing this to keep MLS listings at decade lows in order to maintain the “tight inventory” theme? I’d need to see more than one sign to make that conclusion. I’ll keep my eyes open now. Spring is coming, and the real estate signs will be popping up along with the tulips. buyer can pay buy side commission. usually only sell side is protected 2-3% savings can add up to some. easier to do in a tight market…..
Tulips being a loaded word under the circumstances! Interest rates are still incredibly low in historical terms, and speculators as desperate as ever, perhaps Ottawa is next. I think the multifangled beast we are dealing with is still more of less still out of control. Increasing financial inequality is a major factor, as is the increased ease of hive behaviour and financial transactions in a networked world, both domestic and international. In a general sense, we’re dealing with an almost entirely unregulated computerized real estate banking and flipping machine, and previous predictive models and safeguards are probably entirely outmoded. I wonder if the real estate market is now so out of touch with economic and social fundamentals that only a significant spike in interest rates and/or a recession will make a real dent. Ottawa is not going to be next market. It’s a media hype same thing they did with Toronto few years ago wth record low listing etc etc better buy now. Fact is Ottawa has so much land it’s like 5 times bigger in area size then Toronto but population is one fifth. Toronto mess was created by this fear. I will say maybe Montreal has better chance to be next hot market. Maybe Montreal will have to put foreign tax as well. Hope they do it before it’s too late. Lol… There is no bubble in Montreal. Not like on On and Bc. Montreal is where good money goes to die. Whatever game that is being played is a bunch of Frenchies trying to replicate our bubbles. Don’t get me wrong I love to visit and used to go there a few times a year for fun but overall I find the racism and corruption pathetic. Even more so, How are people ever gonna pay off those 500 – 800k mortgages. Most people cant keep it going for 25 years, especially maxed out first time home buyers. What are they thinking? i will just borrow from my heloc, for how long? Yup….people are house poor and some have the idea that they bought new so they have 15 years before anything goes wrong but as a home owner I can attest to the fact that houses sucka cash. You’re lucky to go a year without having to shell out a couple grand. You add a couple small life events to the mix and you are in debt each year that you can’t get rid of. Oh and this has the hallmark of prerecessionary conditions. I have never had as much money as when i sold my house, and became a renter. And no, i didnt make a killing on real estate. I sold in 2012 for pretty much break even, and have rented for 6 years. My rent is 1022.00 monthly all inclusive. I work part time at a great job, i travel, i spend so much time with my kids. Im not bragging, im just proof that owning a home doesnt make you wealthy. Having money in the bank and no debt does. Anyone who buys right now is in the hole for the next quarter of a century. The thought of financing even 500000.00 just for a mortgage is sickening, and the payments and upkeep will make you a debt slave for the rest of your life. The last guy lost 90K not counting Land Transfer and property tax, closing costs (and if he was not a realtor he paid a commission as well).